Who Created the Palmsaver and Why? 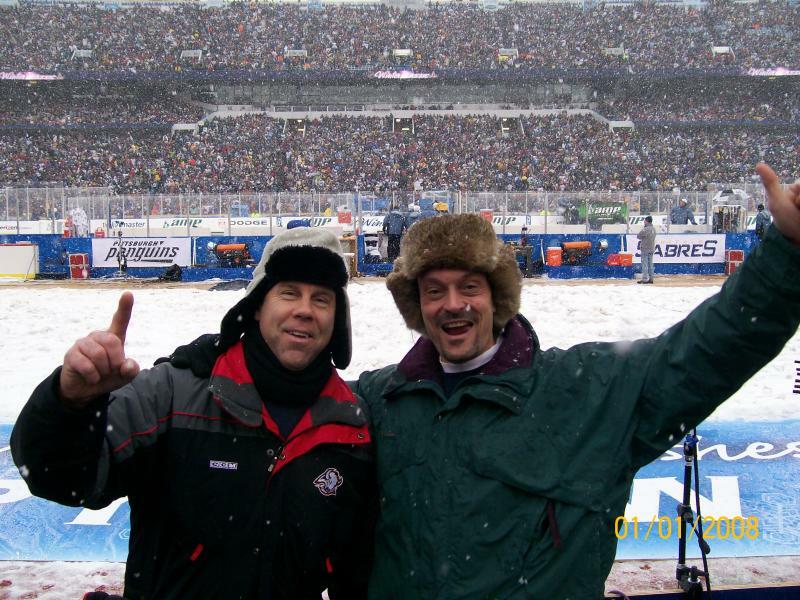 I am a 49 year old ice hockey player from Buffalo New York, the home of Patrick Kane and many other fine NHL players. I started playing at the age of 10, and have been playing for 25 years now with some time off in between to concentrate on college and raise a family. Yes, I am still playing (only a lot slower) because I love this game. My 18 year old son is also a hockey player. 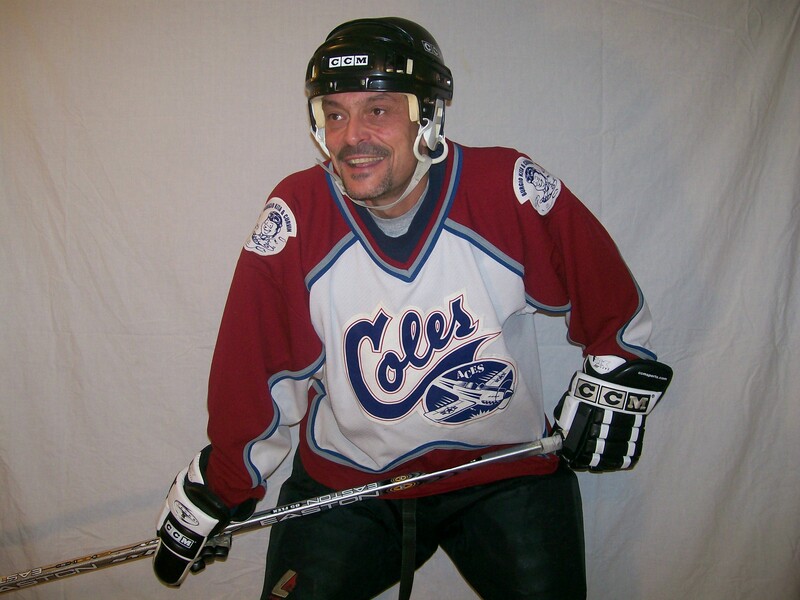 He was a travel team player for 12 years with the Wheatfield Blades. 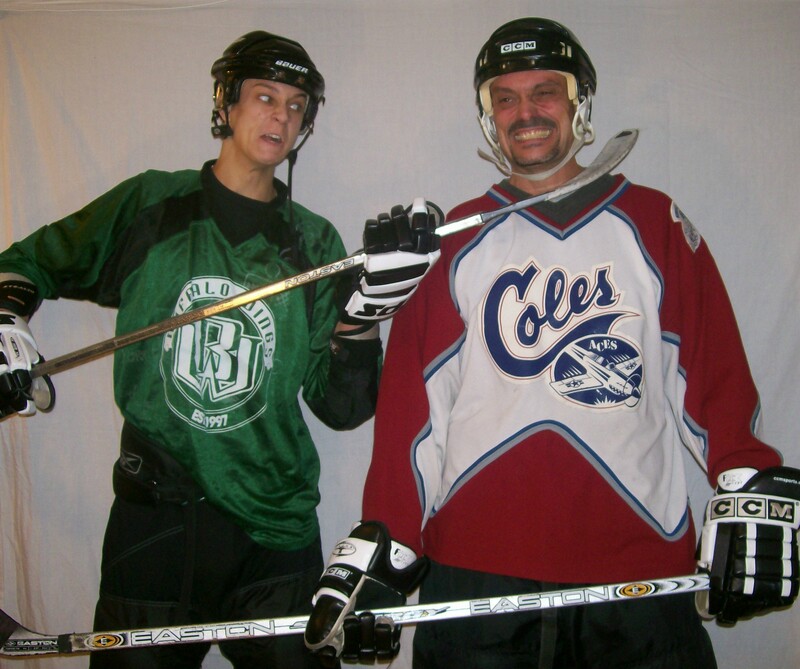 Between the two of us, we have collected a large assortment of used hockey equipment. Part of this assortment are many pairs of gloves with damaged palms. As a parent and a player I can tell you that it is very expensive to keep replacing gloves just because the palms are damaged. If you have priced a decent pair of new gloves lately, you know that they are not cheap. 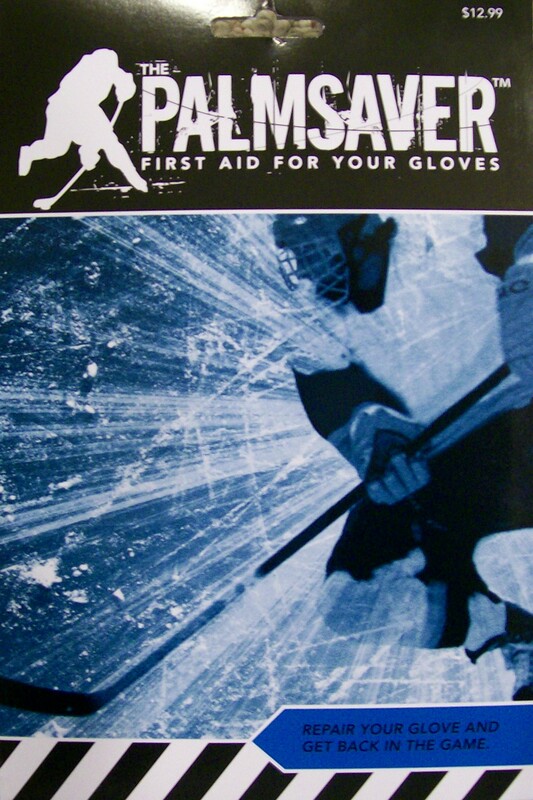 There had to be a better way to repair the palms that was quick, inexpensive and durable. For years I had tried repairing the palms with everything from duct tape to rubber. Nothing seemed to last very long. Either the material wore out too quickly or the adhesive deteriorated from sweat and friction. I was determined to solve this persistent problem! Then the "idea" came to me. What would happen if super strong, light weight synthetic material was used, along with a super sticky adhesive that was unaffected by sweat, water, heat, friction and anything else you could think of? 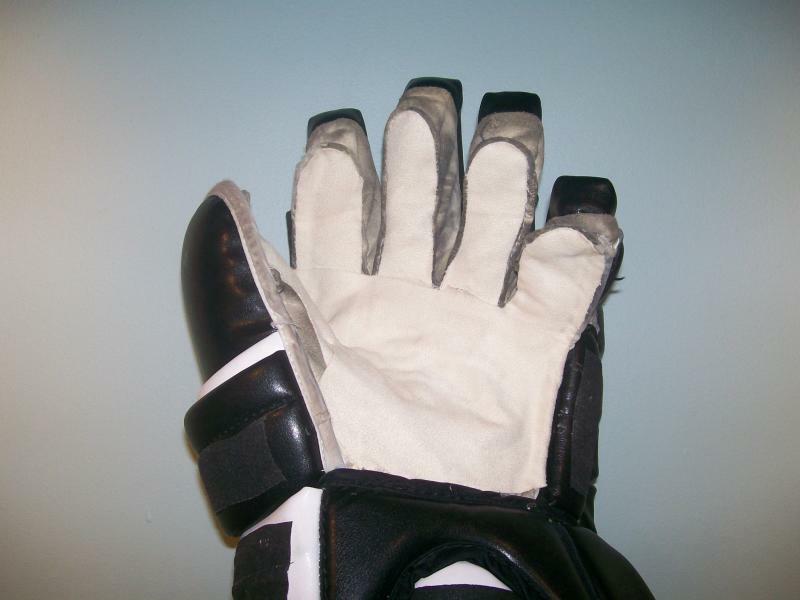 Well...after a whole lot of investigation, tinkering with materials and adhesives, then time and abuse tested usage on a variety of gloves under intense practice and game conditions...The Palmsaver was created. 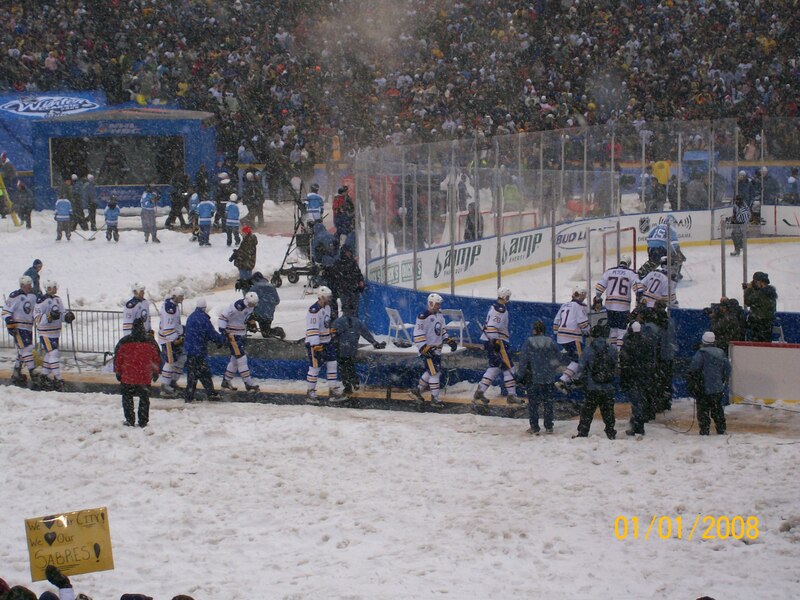 Our mission is to provide hockey players and parents with a low cost alternative to traditional repalming methods. 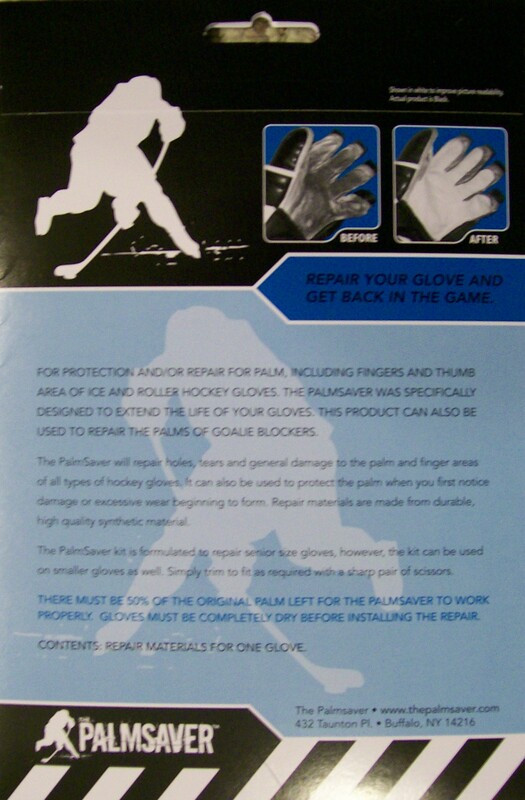 This product is designed specifically to repair, protect and extend the life of hockey glove palms and therefore the gloves themselves. This is how well The Palmsaver performs. These gloves were brand new about two years ago. 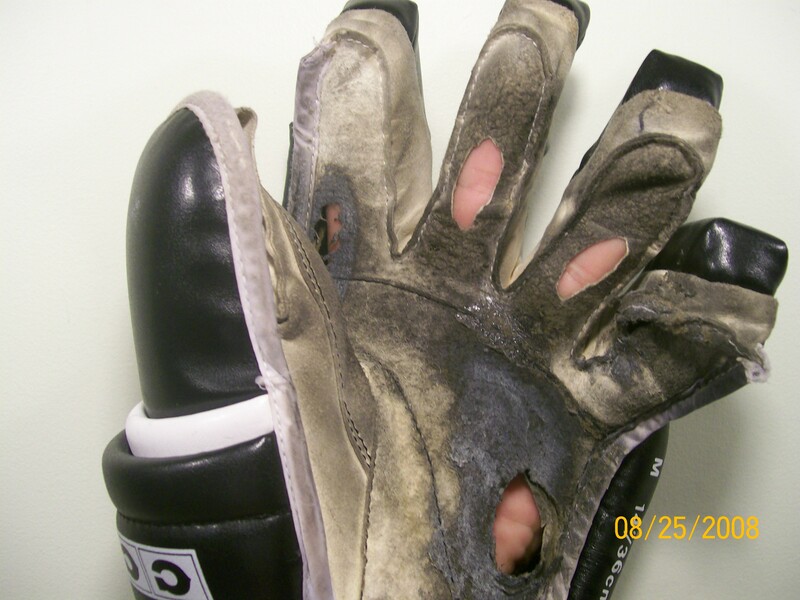 The top photo is the left glove (top stick hand that gets all the wear and tear) before the repair. The photo on the left is with a new Palmsaver installed. 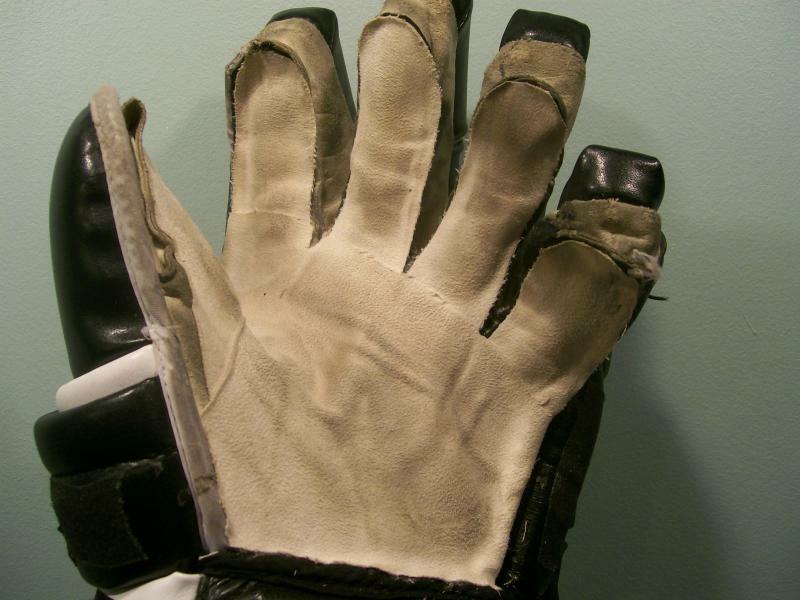 The photo on the right is the same glove after playing twice a week for nine months. The repair has not moved, shifted, have edges raising / peeling up or come loose in any way . In fact, the more you play, the better it sticks. There is no noticable wear other than some discoloration from rubbing on the stick. Me & my son Eric. He's a good man and a great hockey player.